I was reflecting recently about a poor business decision I made, and wondering what went wrong. I ended up doing some work with a client that at the initial contracting meeting I didn’t get a good feeling about: it was around a piece of team development, and I struggled with just how negative they were about the team, along with an apparent lack of self reflection about what impact they as the Leader may well have on creating the culture of the team along with wider system organisational aspects. If I had listened to my initial instinct, it would have said “don’t do this work”, but I was a bit quiet work wise, and thought it would probably be a good challenge, as well as an opportunity to work in a different sector. Well, I guess it was, but it was really hard, and though some progress was made with the team, I didn’t enjoy it, and regretted the involvement ultimately. I wondered how I had come to make the decision; from the head or the heart? A lot from the head I decided, and the decision was based on income, economics, new business and possible repeat work, as well as thinking I would get to like the person I had met and make it work. It was a tough project from start to finish, with constantly changing parameters and a need to just grit my teeth to get through. My instinct had tried to talk to me, but I wasn’t listening…. 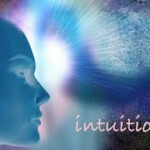 Intuition is the ability to acquire knowledge without inference or the use of reason. 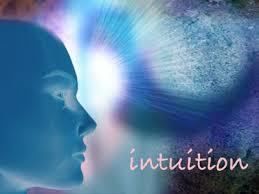 The word intuition comes from Latin verb “intueri” which is usually translated as to look inside or to contemplate. 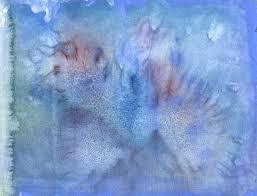 Intuition is thus often conceived as a kind of inner perception, sometimes regarded as real lucidity or understanding. Intuition provides views, understandings, judgements, or beliefs that we cannot in every case empirically verify or rationally justify. For this reason, it has been not only a subject of study in psychology, but also a topic of interest in various religions and esoteric domains, as well as a common subject of writings. The right brain is popularly associated with intuitive processes such as aesthetic or generally creative abilities, and where we access intuition from. There is also the quandary of the context of where we might mine our untapped intuitive powers; do we use in or out of work, or in all contexts we find ourselves? When hiring, firing and investing, should we plug into our “right brain” premonitions? I remember one recruitment process that had rows of checklists and competencies, but still the recruitment panel created a “face validity” heading to support their choice Or, with bright people so often believing demonstrably dumb things, do we instead need more “left brain” rationality? The opportunity to use instinct comes in all shapes and sizes in our professional and personal life. I am more mindful now of the sort of people I work with. I used to think it was by accident that I ended up working with people I liked and trusted in the work with teams and groups, and also working with individual coaching clients. More and more these days, I subscribe to the idea that I get the clients I can work with well, and even go as far as to say I need. The history of science tells story after story of challenges to human intuition. To our ancestors, the sun’s daily travels had at least two plausible explanations: either the sun was circling Earth, or Earth was spinning while the sun stood still. Intuition preferred the first explanation. Galileo’s scientific observations demanded the second. Psychology, too, is replete with compelling examples of how people fool themselves. Even the most intelligent people make predictable and costly intuitive errors; coaches, athletes, investors, and psychics fall prey to well-documented illusory intuitions. It’s worrying how vulnerable we are to forming false memories, misjudging reality and mispredicting our own behaviour. 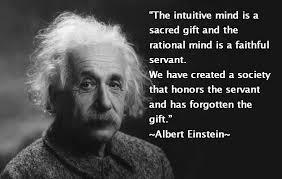 Our intuition errs, so it’s far from infallible….and yet we sometimes disregard it at our peril. One of the other things that instinct can help us with is knowing when to say yes and no to different things that crop up in our day to day lives. The left brain can take over and rationalise all sorts of decisions that may make sense as rational decisions, but don’t make nearly as much sense in overall life terms: decisions about partners, jobs, where to live etc. They also manifest themselves in our day to day routine about what we end up doing; going out for the night to a social event when we know our “coping tank” is empty and we don’t feel sociable, having someone to stay for the weekend out of duty because it’s the right thing to do…..I’m not saying we shouldn’t make some decisions out of a sense of duty, what is right, but if the balance of those decisions are made in this mode, we end up spending a lot of time doing things that we don’t really want to do…. What do I think about when I think about instinct? As someone brought up in a teaching family where education and knowledge were highly prized, the rational comes easier than gut instinct. I was raised to not invite or welcome unbidden hunches. One of the games we played lots of as children was a game we called “seventeens”, in which you had to work through topics like country, bird, part of body or landmark, and gain more points for the most original choices. This wasn’t quite life or death to win, but not far off it! Intelligence in general knowledge was feted, especially being able to answer more questions watching Mastermind on general knowledge than the people in the studio. Garnering qualifications was very important: O levels, A levels, degrees and the icing on the cake, post graduate qualifications like Masters and Doctorates. Important they are, but not always good development of our intuitive qualities. 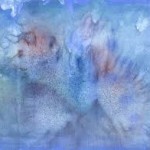 On the Jungian preferences of thinking-feeling, I used to come out as a thinker, rationalising a lot of decisions (especially the big life ones) by pros and cons lists, writing it all down, asking a number of different people for dispassionate views in order to come to a well balanced, thoughtful next step. Latterly in the last few years, I’m coming across more and more to feel my way through decisions, or at least have a weighing balance of thinking and feeling in order to make a well rounded decision. As with many of my blog articles, there is a self learning, self cleansing aspect to it that applies to me and where I am, but I suspect and know from some of the heart to heart discussions I have with close friends and family, that I’m not alone in this. Do you listen to your instinct enough? 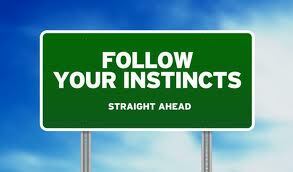 Where does your instinct reside in your body? As someone learning to listen more and more to their instinct in life, it has been a wonderful and freeing discovery when I can access and hear it in all sorts of contexts. Meditation helps, as does taking time and space to make a decision whilst trying to listen to the soul. I know I cant follow my intuition all the time, but I can give it ultimately the casting vote a bit more often…. For me it’s about reaching inside wherever your place of instinct is, and you will usually hear an answer you can trust. Listen to your ‘internal voice,’ that voice inside your head that tells you when you feel tired or thirsty, whether you should leave that party, if you should buy that car, whether those shorts really do look good on you! When you think about the path you’re on right now, what does the voice say? A full-throated passionate yes? A maybe? Or an I-hate-this-but-it’s-what-I-have-to-do? You can plug your ears for a while, but eventually, that voice grows louder, more ominous, and harder to ignore. Listen to it now before you get in too deep.